On every arrival to Bali I will always travel north, away from the tourist littered beaches of the south coasts, and escape to the diverse rural settings of Ubud, with its rice fields, rain-forests, and deep mountain valleys. An area I love for its truly unique culture, wildlife, and ceremony, and its intoxicating and therapeutic mix of tradition, arts, mysticism and celebration. In short, I really love Ubud, Bali. But, while the town of Ubud itself is great to explore, it has too become increasingly touristy over the years and therefore the surrounding canopies now make for the better escape. And the town centre is never far as outside resorts will always offer shuttle services to Ubud town (and more than not they’re complimentary) and for further travels it is easy to just organise some cheap transport through the booking at the resorts. 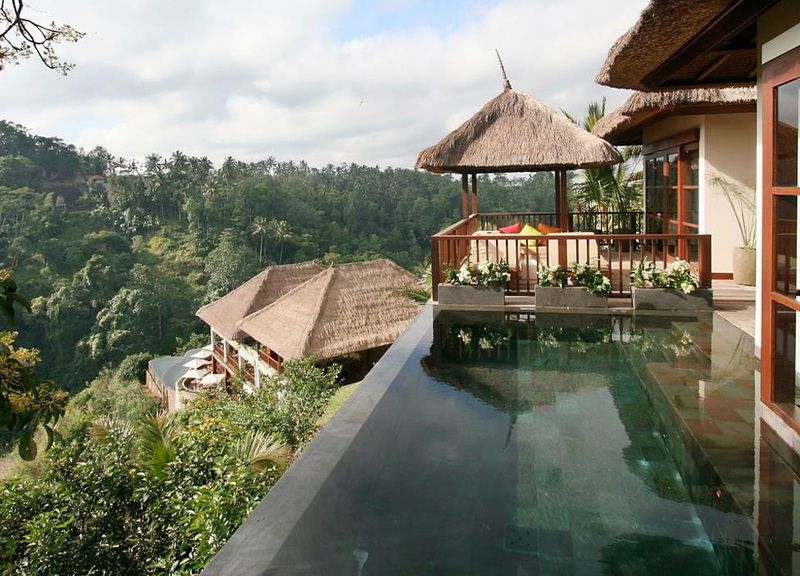 Anyway, here are some of the Top Ubud Resorts in Bali for some of the best value and experiences the world over. 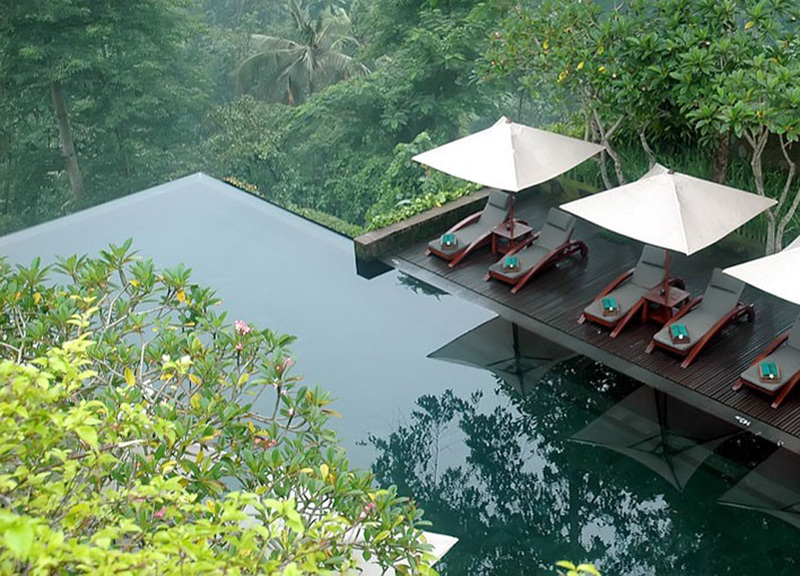 With one of the world’s most photogenic pools Ubud’s Hanging Gardens have been shared globally for a long time now winning recognition with many of travel’s elite. 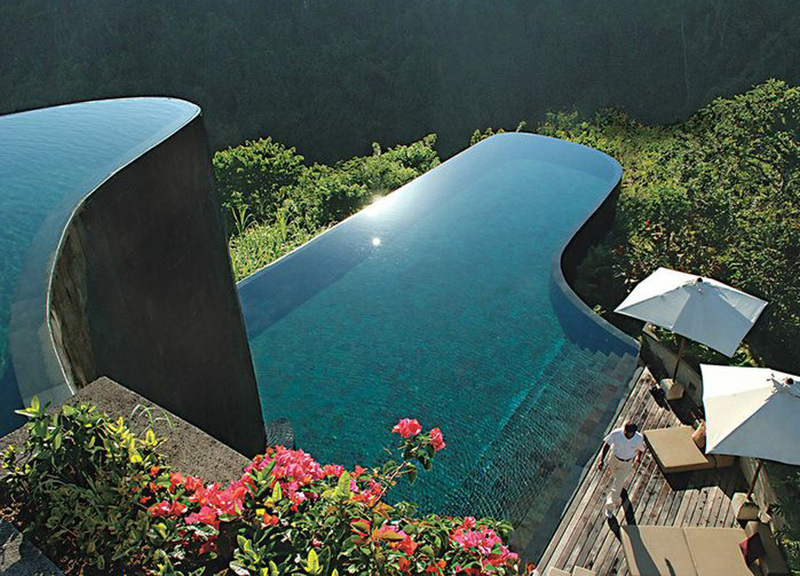 However, there is of course more to the Hanging Gardens than their stunning split-level infinity pool. 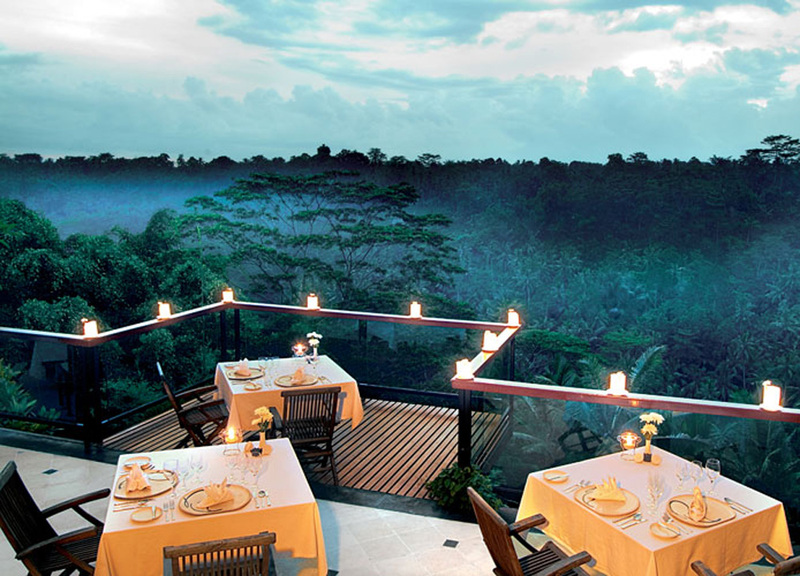 Hanging Gardens is held above the treetops and valleys of the Ayung River with views of cascading waterfalls and the resort seamlessly threads ultimate luxury to the tropical settings which surround it. Accommodation consists of private pool villas and suites designed in contemporary Balinese style and are all set on stepped rice fields. Every villa comes with a private pool heated throughout the year with views over the valley canopies. 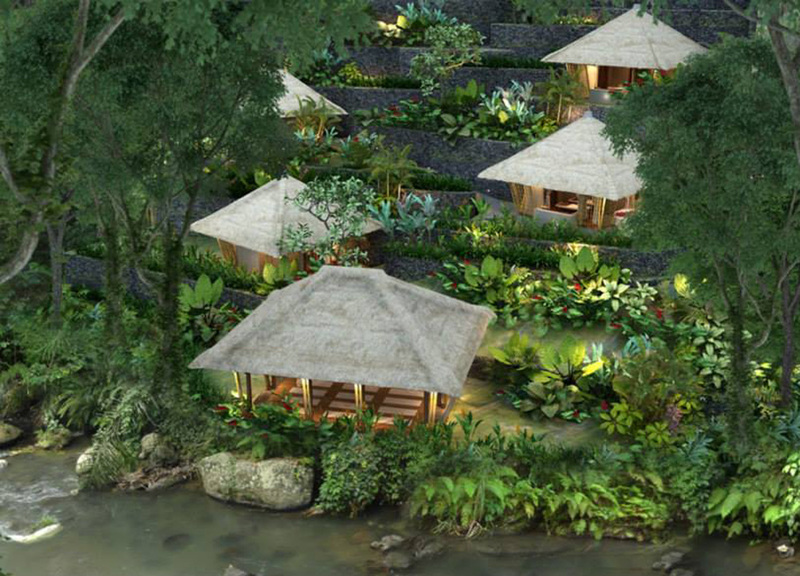 Ubud Hanging Gardens is no doubt a haven of peace and tranquility. 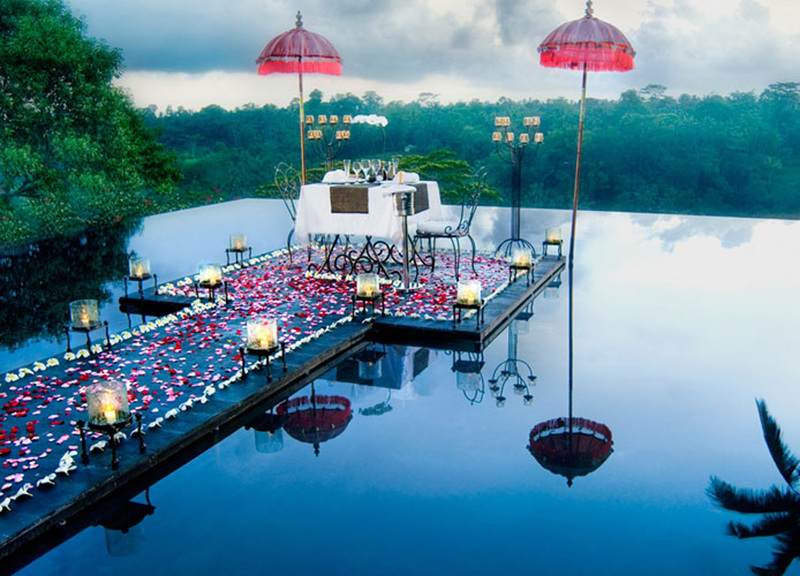 At one point we planned to marry at Ubud Hanging Gardens only pulling out last-minute knowing the setting will steal from the bride and groom. 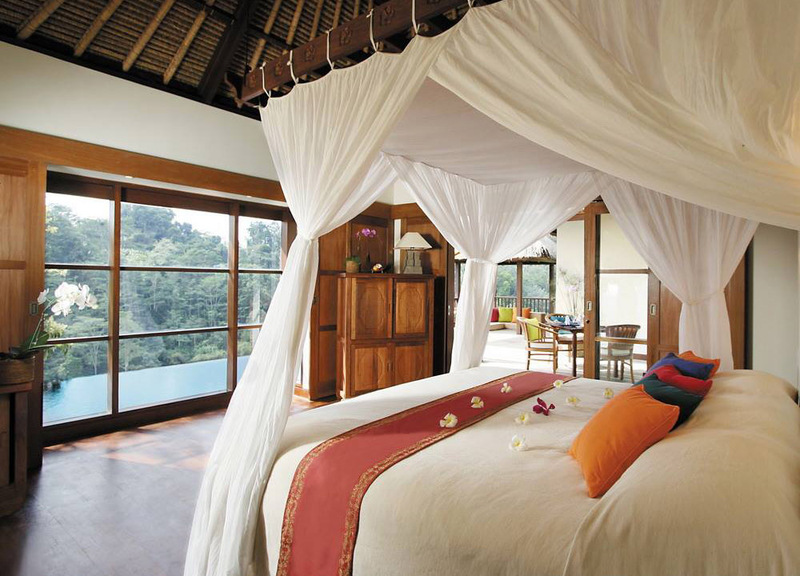 It would certainly make perfect for the honeymoon. This intimate retreat features just nine elegant villas all set in a lush and secluded walled garden in the Sayan Village area of Ubud. With views overlooking the Ayung River Valley jungle, each individually designed villa offers its own private, tropical pool, a sleeping pavilion and open views to the surrounding valleys. 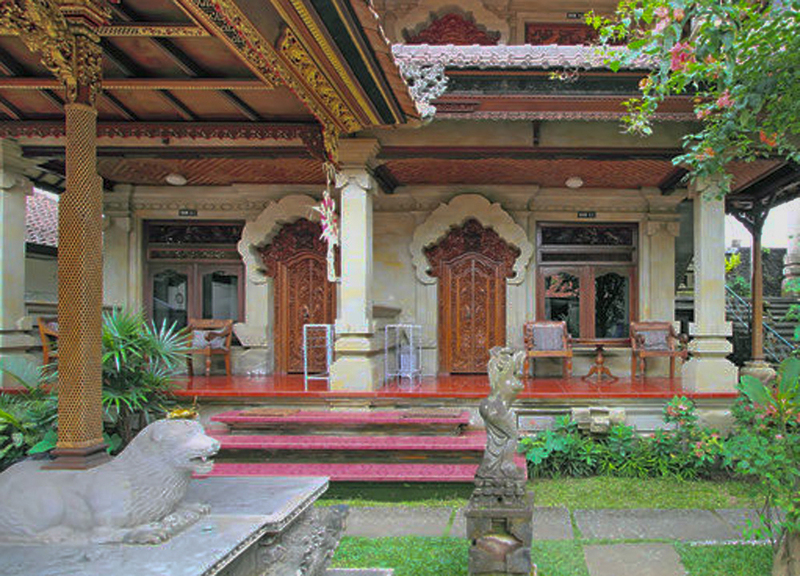 Villas at Kayumanis are all uniquely themed to share tradition through design with decors of Balinese, Javanese, Oriental, Palembang, Primitive, Ethnic and Modern. Of course all tastefully furnished with a blend of ethnic, modern, and traditional influences using indigenous hardwoods and volcanic stone. 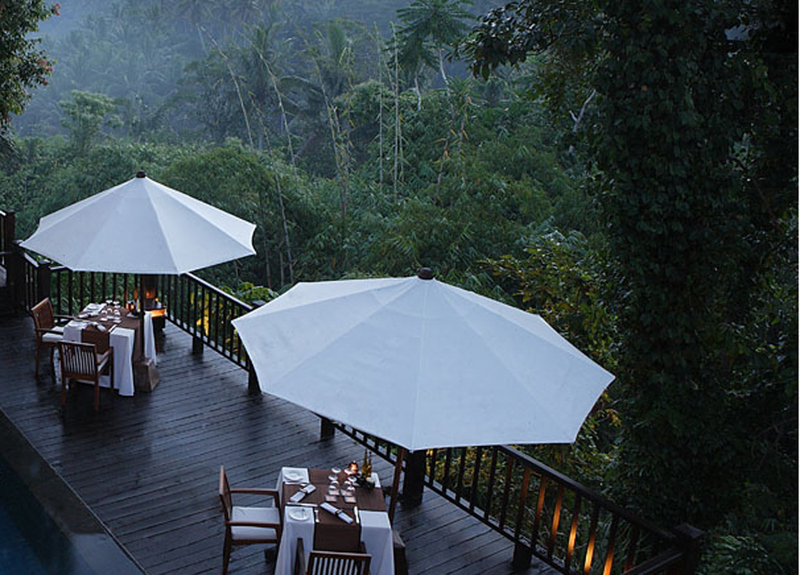 Maya Ubud Resort & Spa is bordered by the Petanu River valley to the east and the rice fields of Peliatan on the west. The vast ten-hectare resort is a tranquil haven of tropical gardens and expertly designed, thatched pool villas offering ultimate luxury in guest facilities. 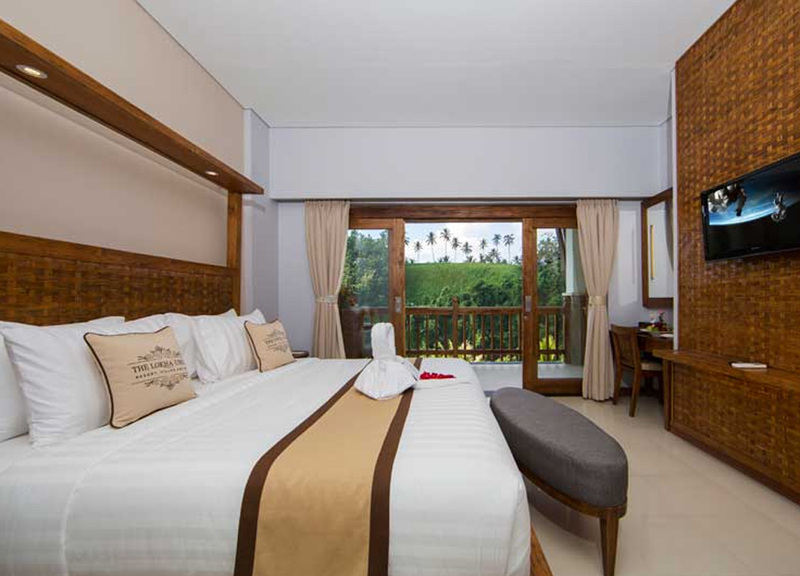 More affordable deluxe rooms are also available at Maya Ubud which share views of the Petanu River Valley on one side, or on the opposite overlooking the rice terraces of Peliatan. An upgrade to pool villas brings open-air Jacuzzis and private swimming pools and unmatched views of Petanu River Valley. 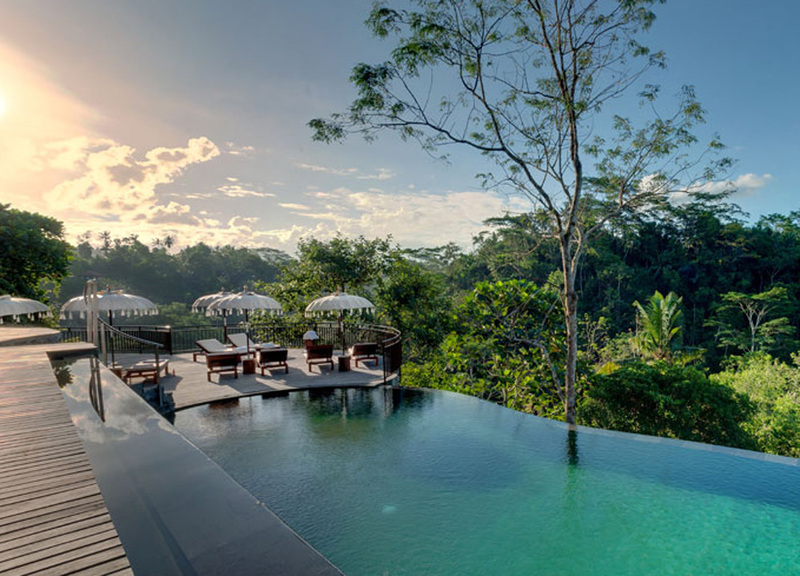 Held high on the edge of the Ayung River valley Alila Ubud is a tranquil and secluded hillside retreat which blends contemporary design with traditional Balinese architecture. 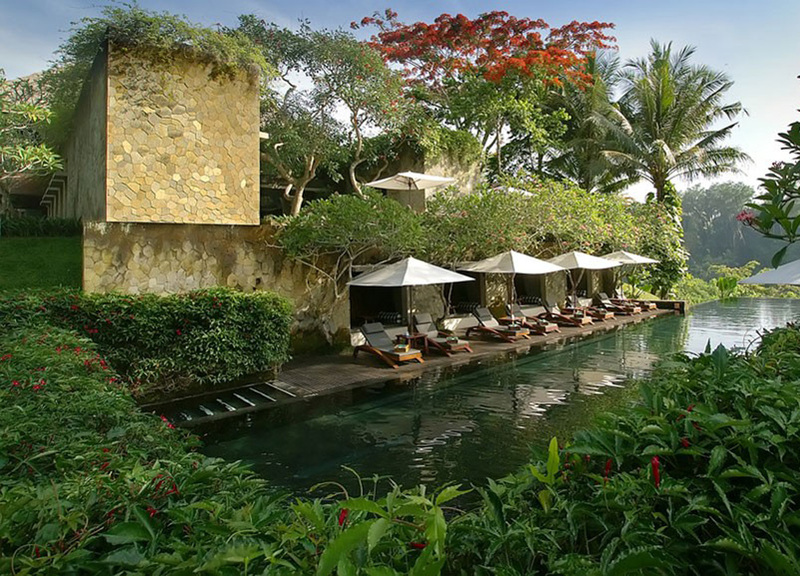 Alila replicates a Balinese village with secluded courtyards, spacious terraces, private gardens and the perfect (award-winning) infinity pool which overlooks the valleys below. 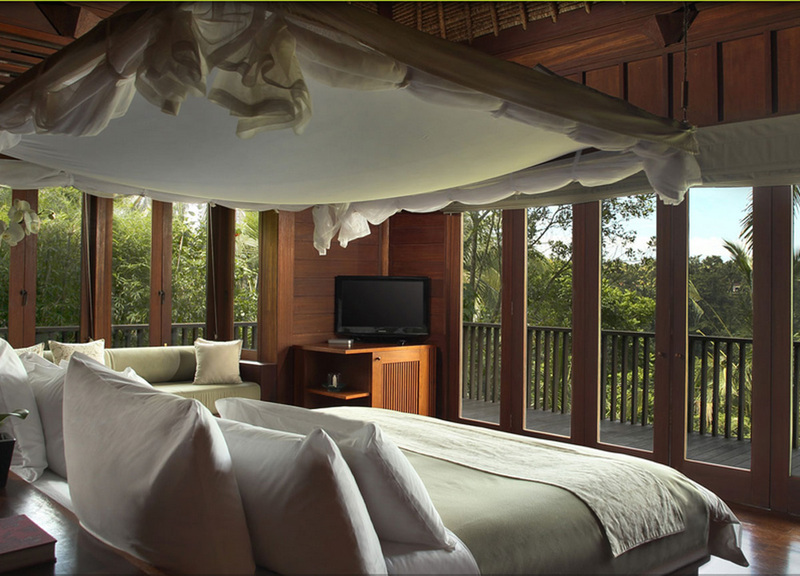 The more affordable deluxe rooms each share panoramic views on the Ayung River, while the valley villas sit perched on the river valley above the lush rainforest canopy. 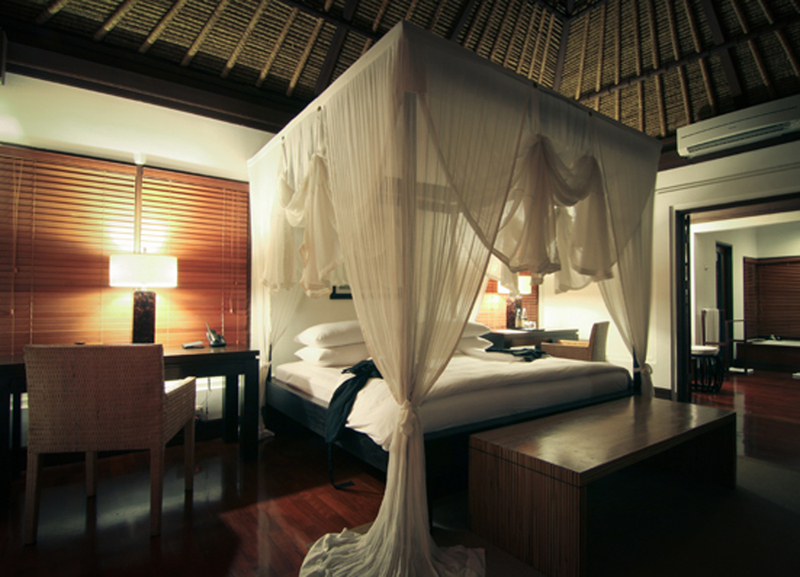 We chose Alila Ubud, after long deliberation, as the resort for our wedding. Simple, intimate and all-in-all beautiful. It was the right choice. Enclosed in three hectares of lush tropical gardens Kupu Kupu Barong Villas offer unforgettable views over the Ayung River Valleys. 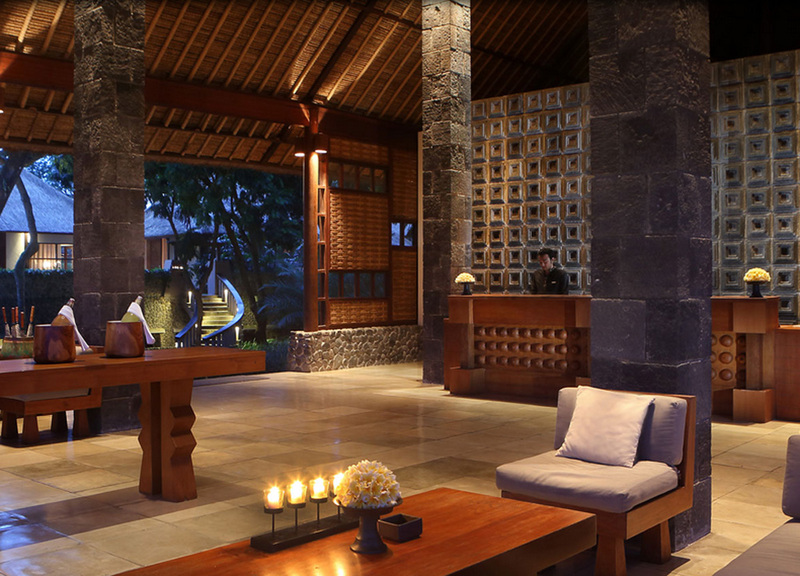 With 38 luxury villas and 8 guest rooms it is one of Ubud’s finest boutique resorts. 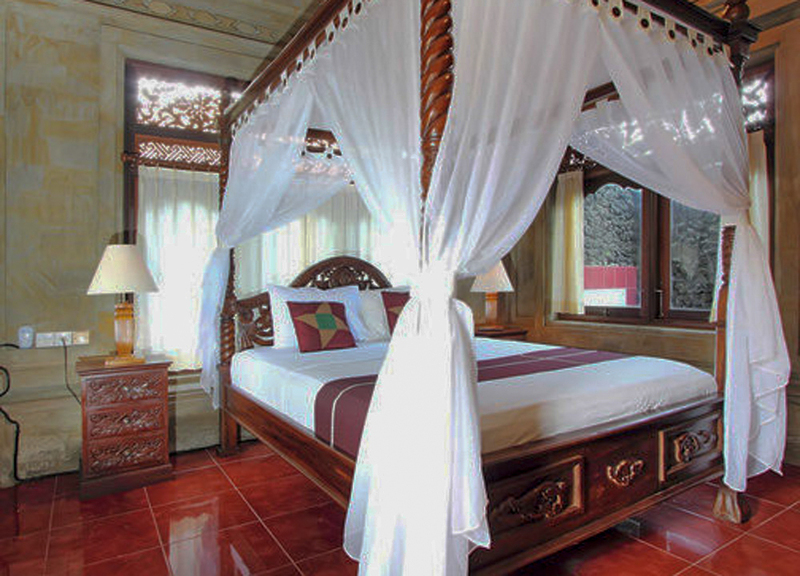 This rooms at Kupu Barong each reflect the warmth of Java island with a collection of hand-carved furniture in Joglo style made from old recycled teak wood. The extensive use of indigenous timber and touches of local artistry add to the seemingly unmatched beauty of this resort. 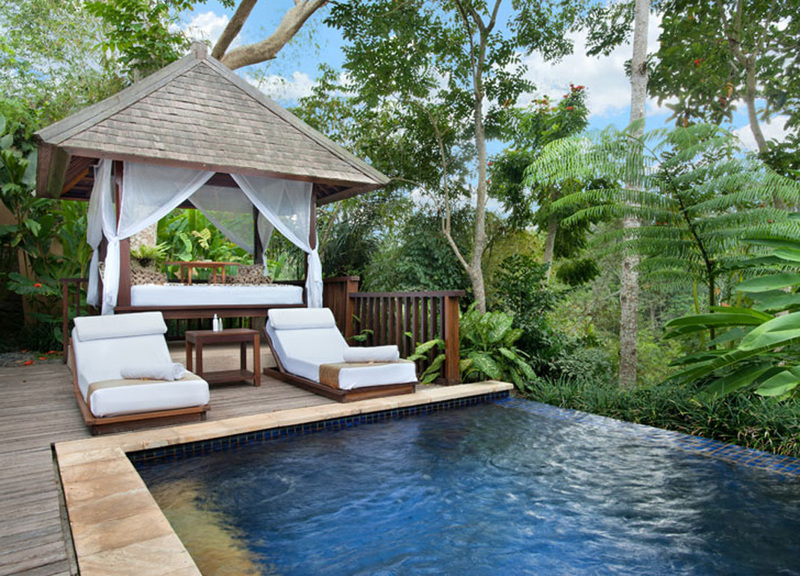 The Villas at Kupu Barong come with private terrace and a spa-inspired, en-suite bathroom and are located just footsteps away from the main pool area. 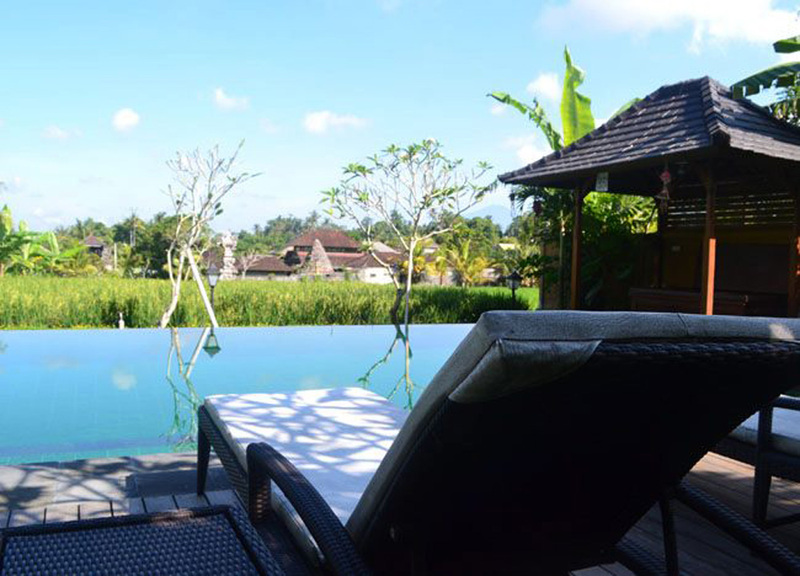 The Lokha Ubud Resort is found on the lower grounds in the traditional Balinese village of Keliki, not far from cultural capital of Ubud town. 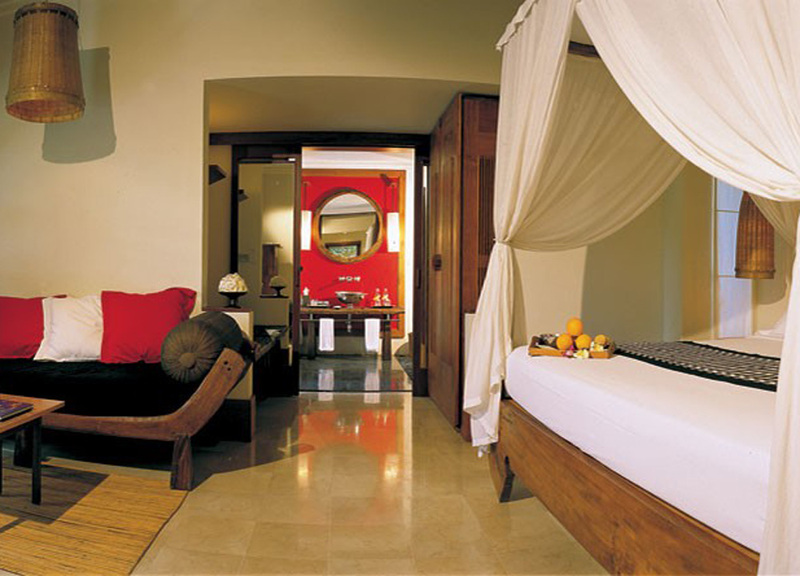 It comprises of a luxury collection of 16 villas and 52 guest rooms. Found in the lower climbs the Lokha is set in a tropical terrain which descends to the banks of the Wos River. The Lokha Ubud has been designed to celebrate local artistry and embraces the natural beauty of its surrounding environment with each guestroom suite and pool villa blending seamlessly to its gentle riverside setting. For the budget traveller there are few better options than Graha Moding Villas which offer a simple rural Ubud experience not far from Ubud’s city centre (3km). 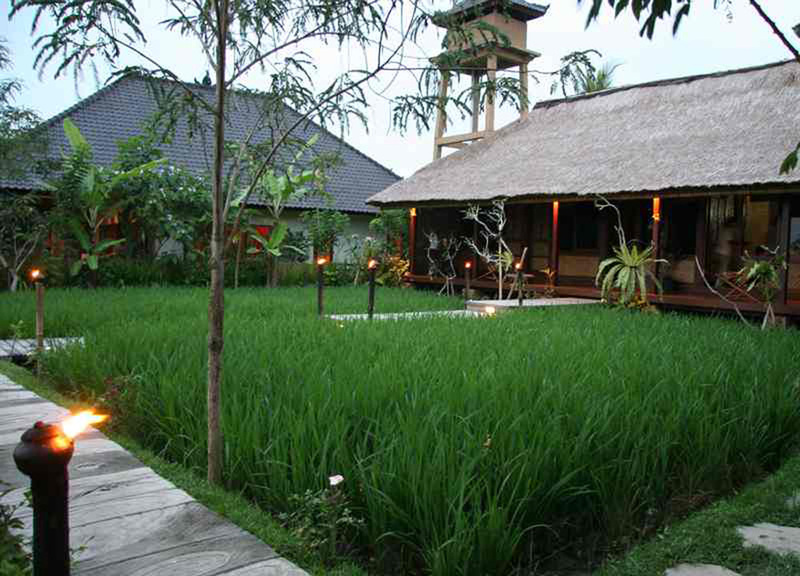 Tucked within a small pocket of terrain the surrounding scenery of Graha Modian is authentic and local with working rice fields and simple rural life. 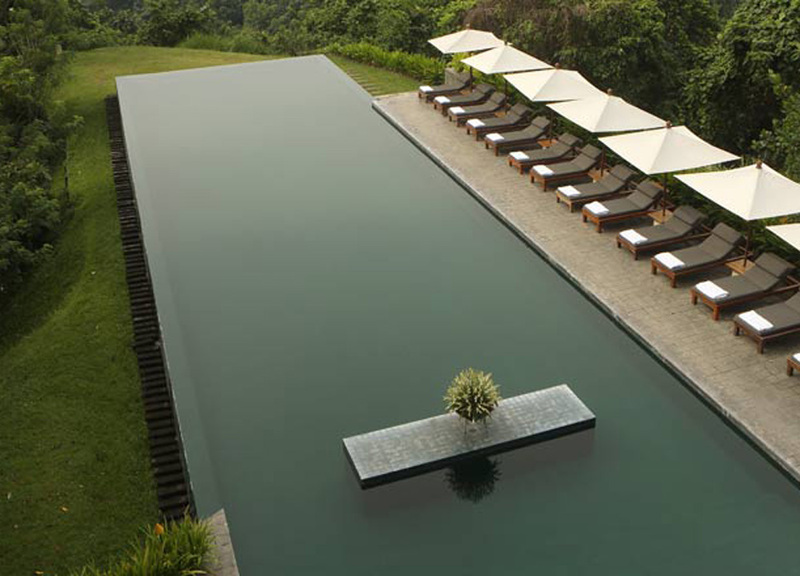 The resort itself is small and centres round the unique infinity pool setting which drops to a deep valley below. 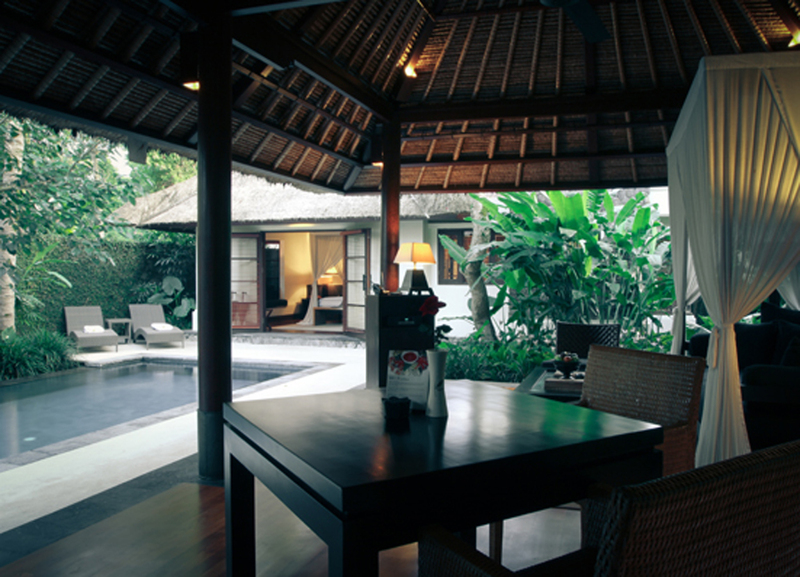 The location ensures that guests can quickly and easily reach the local points of interest and Ubud town centre . 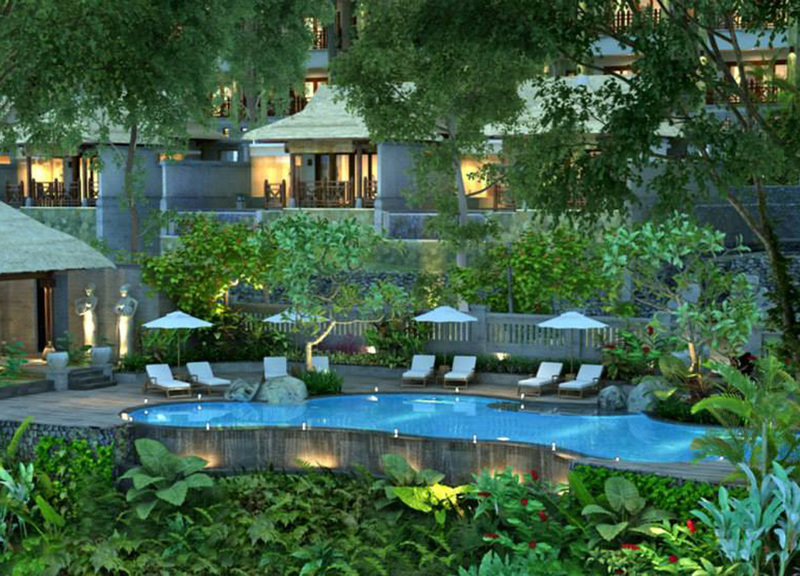 One of Bali’s more affordable luxuries. Found in a rural setting of rice fields, this budget Ubud retreat is ideal for a frugal pampering with not only traditional massage options but all sorts of ayurveda spa packages and body treatments. A simple and small resort Bliss Spa has only 20 rooms to choose from all overlooking ponds, rice fields or the resort’s infinity pool. 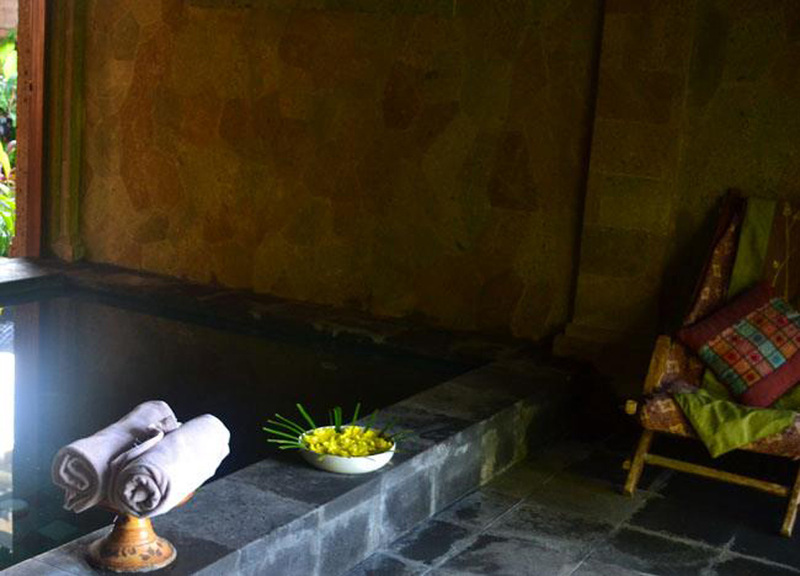 With free transport available within the Ubud area Bliss Spa offers some of the best value you can find in Ubud. An atmosphere of total peace and harmony. 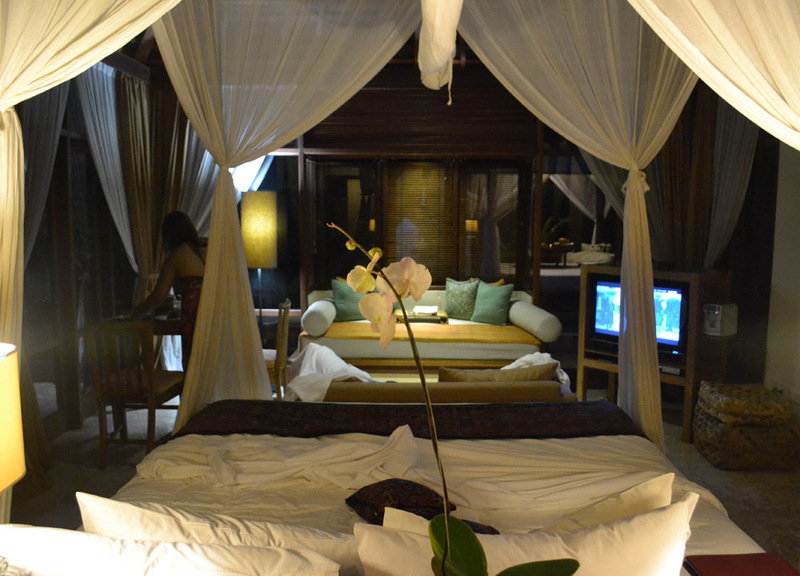 As always I’m adding a backpacker option, within a short distance of Ubud Town but far enough to escape it. 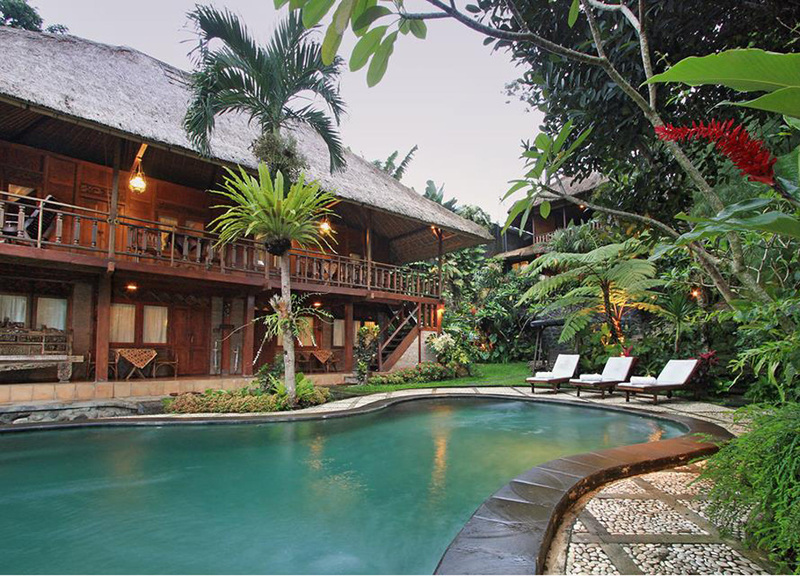 Tungeh Inn centrally located in Ubud, close enough to walk to everything yet far enough to escape the constant tourist trails. Decorated in carvings and native hardwoods. 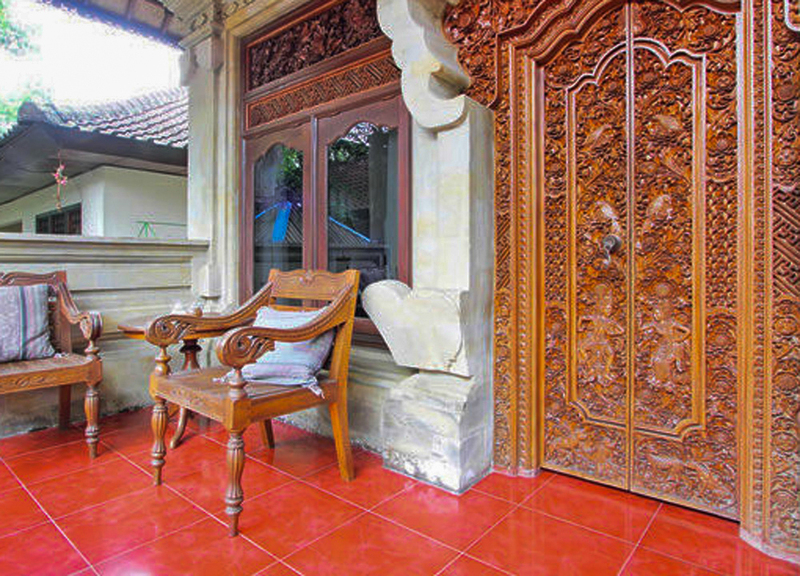 A short distance from local attractions like Ubud Palace and Ubud Art Market. 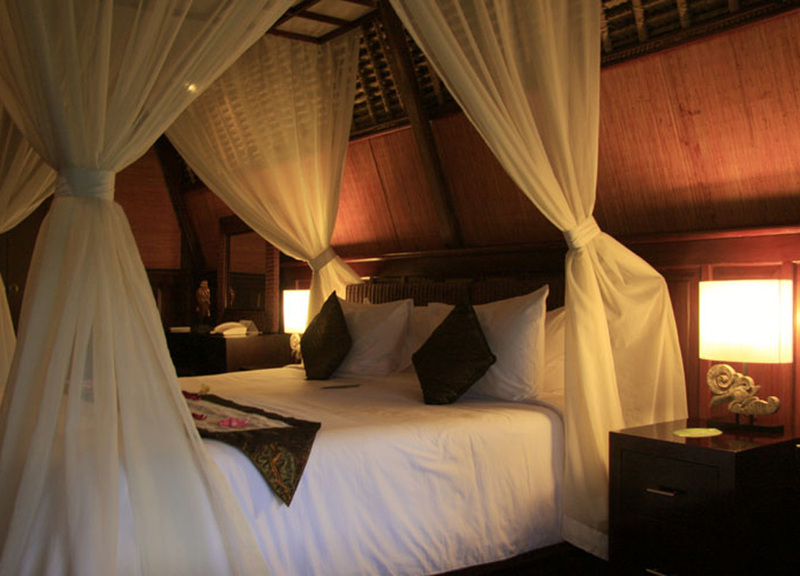 Rooms come with all the usual amenities and each offer terraces overlooking the garden. The hotel’s gardens are ideal places to relax and unwind after a busy day.